Doctors Council SEIU, the largest union of doctors in the country, is looking for candidates to fill new organizing positions who are outgoing, self-directed, organized, intellectually curious and driven to succeed. Doctors Council SEIU brings together frontline doctors to win a united voice for doctors, our patients and the communities we serve. Our members practice in New York, New Jersey, Illinois and Pennsylvania. We work to build a stronger voice for our members during a time of profound change and transition in the healthcare industry, and to use that voice to improve care for our patients and health in the communities we serve as well as better the conditions under which our doctors deliver that care. Our national office is located in Manhattan, in the heart of New York City. 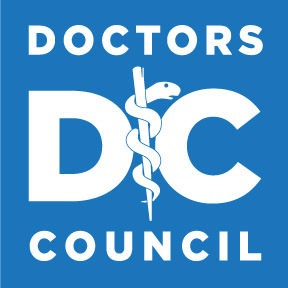 To learn more about us, please visit our website at: http://www.doctorscouncil.org/. Doctors Council SEIU is looking for individuals who can lead doctors who desire to have a united voice through a process of change, often facing the opposition of their employer. Organizers identify, recruit and build relationships with workplace leaders, and work with those leaders and their colleagues towards winning on the issues that the group has identified as important to themselves and their patients. Organizers coordinate and help drive the overall effort for change, often culminating in a vote or demonstration of majority support, utilizing organizing, research, communications, political, legal and data management tools. Organizers adapt to quickly changing circumstances and overcome obstacles. Successful Organizers demonstrate a high degree of confidence, self-organization and ability to work with and through teams. Organize new membership. Establish contact with potential members, build relationships, organize and run meetings, identify and develop rank and file leadership. Motivate and mobilize doctors to take action. Develop and maintain an Organizing Committee. Conduct initial research. Lead campaigns. Work on political and community issues, as well as on healthcare policy and professional issues. Develop relationships with community and political allies. Write leaflets and newsletters. Work on first contract campaigns. At least 2 years prior union or comparable staff experience in organizing highly desirable. Healthcare, professional advocacy, legislative or political experience also preferable. Good writing, listening, reporting and assessment skills important. Proven ability to discern priorities and meet competing deadlines. Use of technology, including databases. Experience should demonstrate an ability to manage projects and a drive to succeed. Must be able to drive and maintain a valid driver's license, auto insurance and reliable car. Travel required. Be able to drive long distances, and travel throughout the country to different states and cities. Travel and work away from home. Willing to work long and irregular hours, as evening and weekend work will be involved and this position may require travel throughout the country and working in other states for various lengths of time. You must be a self-starter with the ability to work with supervision. This position is based out of our national office in New York. Candidates with social media/online campaign skills and/or strategic corporate research skills are strongly encouraged to apply. Please email us and send a compelling cover letter that gives us a clear picture of who you are and indicating why you want to work as an Organizer for Doctors Council SEIU, stating your interest and qualifications, a writing sample as well as campaign literature, a detailed résumé, along with at least three (3) professional references and their e-mail addresses and telephone numbers to: info@doctorscouncil.org. Please put the Subject Line: Organizer Position in your email.